If you are looking for a present for a wine lover or enthusiast it can be often be quite a challenge to say the least and you may feel you have hit a brick wall. Do you buy a vintage bottle or play safe and stick with what you know is their favourite wine? Cross these ideas off your list and in fact, bin it! Your online present list is here. As wine lovers ourselves we know one of the most enjoyable presents to receive is a wine tasting gift set. 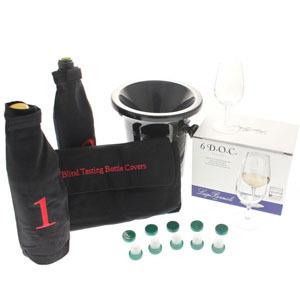 Wine tasting kits are great for home entertaining as well as continuing to test your wine knowledge (revising a few nights a week before using your kit is permitted). Alternatively you can make your own wine tasting gift sets. We have put together our own combination (of 5 products) based on our knowledge of wine tasting and wine events. Standard glass for wine tastings (most popular). 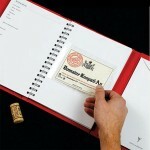 Suitable for red, white, champagne and sparkling wines as well as fortified wines. 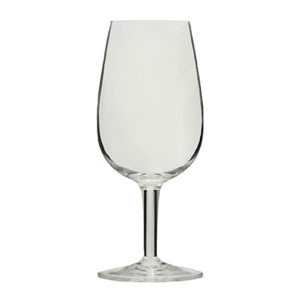 ISO wine glasses are also available in 12cl, 31cl and 41cl sizes. Essential tool for wine tastings. 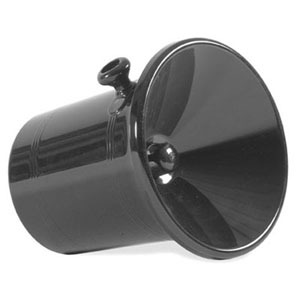 When funnel is inserted, spittoon only holds 2L of liquid. Designed to hold excess (tried/tasted) wine. Test your wine tasting ability. 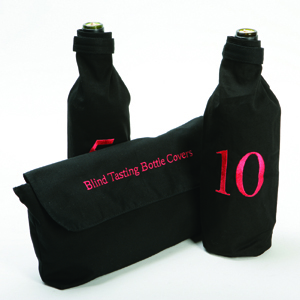 Wine bottles are easy to cover (velcro strap). 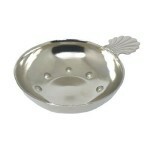 Fits most wine and champagne bottles. If you order over 5 packs of 10 these covers can be printed or personalised (at an additional fee). Stainless steel with rosewood handle. Our very own waiter’s friend design. Available in soft or hard bound (prices do differ). Water resistant wine tasting guide. Of course we would suggest including a special bottle of wine for good measure (feel free to ask us for our suggestions)! Taking the time to choose what to include in your wine tasting gift set means you can tailor the present to your recipient’s likes and dislikes while making your gift 100% unique. If you are aware of a particular brand they are keen or fond of then you have a good starting point. If we do not have the said brand or model we will advise you on a similar product and we promise it won’t compromise on quality. Make your wine gift set treasured for years to come. 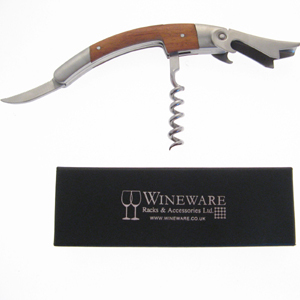 Feel free to browse our great range of wine tasting accessories. If you need any further advice on your wine gift set combination or wine accessories then please call us on 01903 786148 or fill in our online enquiries form.